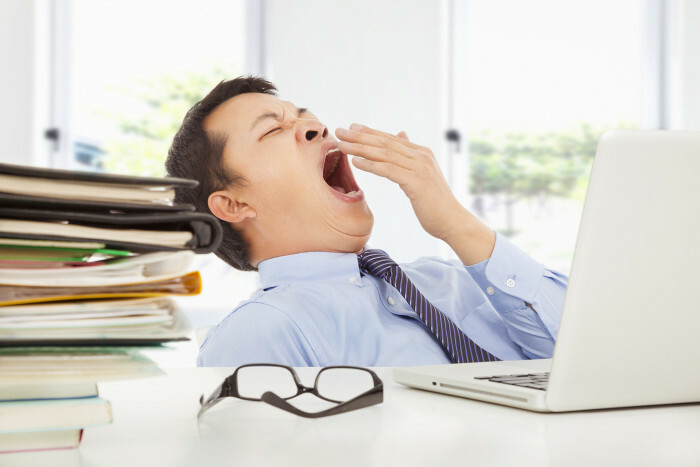 Even those in leadership positions are hit hard by lack of sleep. A McKinsey report, The organisational cost of insufficient sleep, surveyed 196 senior business leaders, and found that nearly half do not get enough sleep on at least four nights of the week, while two-thirds were dissatisfied with how much sleep they got. This is bad news for leaders and decision makers at all levels because leadership depends especially on the functioning of the frontal, decision-making regions of the brain. Impairing this region of the brain with poor sleep is a severe handicap to effective functioning because under deprived conditions, the available energy goes to keeping basic functions working. Without enough sleep, even savvy executives struggle to recall simple facts, seem disengaged and uninspired, lack patience with others, and can’t think through problems or reach clear-cut decisions. According to sleep specialist Dr Dev Banerjee of Integrated Sleep Health, those who work in the corporate world face a unique set of issues that are often overlooked. “Young folks, for example, tend to work long hours. Those who are at the bottom of their career ladder and want to impress. They work extremely long hours and, as a result, have a range of sleep deprivation issues,” Banerjee told The Huffington Post Australia. Research has shown sleep loss raises the risk of obesity, but the reasons are complex and unclear. Insufficient sleep disrupts hormones that govern appetite and satiety. But those who sleep less have more time to eat, and may be too tired to exercise. To complicate things, obesity can lead to breathing problems that themselves disrupt sleep patterns. Middle aged men who often find themselves higher up the career ladder work long hours at the expense of nutrition and exercise and end up gaining more weight. He added that there is a higher rate of snoring in this group, and for women, stress and insomnia is very common. For the slightly older group, 55-plus, many have been in the corporate world for almost 30 years and held the top positions, and this group has a high prevalence of burn out. Despite sleep deprivation being such a serious and common problem at the workplace, 83% of the respondents from the McKinsey report said their organisations did not spend enough effort on educating leaders about the importance of sleep. Fortunately a handful of bosses are beginning to be aware of the problem. US based insurance company Aetna offers a unique perk: paying people to get enough sleep. Bertolini said he started a programme last year to encourage Aetna employees to get more sleep and earn extra money. “If they can prove they get 20 nights of sleep for seven hours or more in a row, we will give them $25 a night, up $500 a year,” he said, explaining Aetna uses various ways to help workers keep track, including the use of Fitbit fitness trackers.